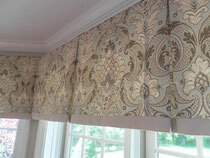 We installed these banded box pleat valance this past weekend. Beautiful addition to an already beautiful home! !